Tomorrow we have another exciting speaker for our monthly meeting! Our speaker will be Jared Campbell, a candidate for a seat on Kansas City’s Council, 4th District At-Large. The district covers Downtown, Midtown, The Plaza, Ward Parkway, and UMKC. 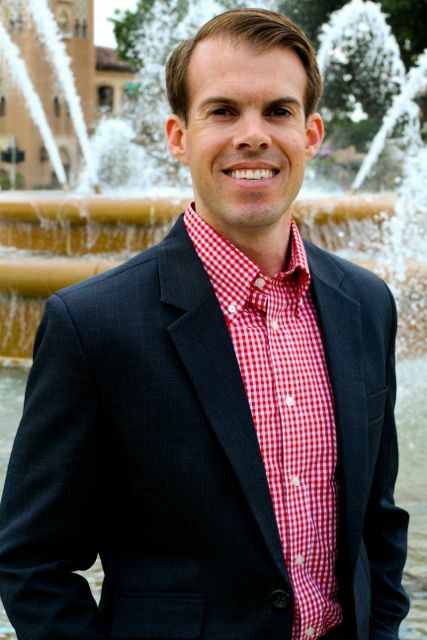 Jared is an insurance agent and civic activist who has personally witnessed and influenced the revitalization of downtown through his work as a founding board member of the Downtown Neighborhood Association and later as a representative of his council district on the Neighborhood Tourism and Development Fund. Now, he is running for a position on the KC City Council with the 4th District At-Large. Elections are April 7, 2015. You can find out more about Jared and his candidacy here: http://www.campbell4kc.com/. Lidia’s Italy has hosted us the past two months and will now serve as our monthly meeting location! Lidia’s Italy is in the Crossroads, and our meeting is from 6 to 8 pm on Wednesday, Feb. 25th.